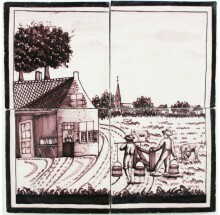 The name 'Holland' is quite often mistaken for the country the Netherlands. 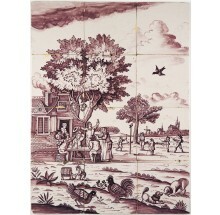 Holland is a part of the Netherlands and covers two provinces of the country. In total there are 12. 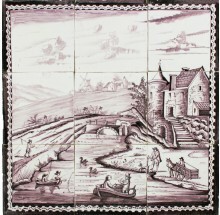 The Netherlands is famous for her beautiful landscape scenes as it is very diverse. 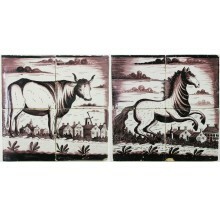 It has large fields with grazing cattle, tulips and windmills as far as the eye can see. It has seas, lakes and beautiful deep blue skies with the most diverse clouds possible. 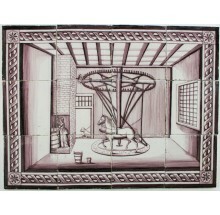 No surprise that the Dutch landscapes were popular to depict by famous painters such Vincent van Gogh, but also by his colleagues in the centuries before him. 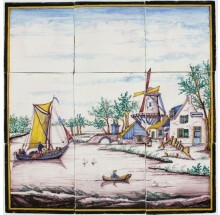 Those painters also often depicted landscape scenes with villages, fields where people worked on or harbors with fishingboats heading for sea. 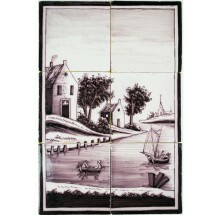 Delft tile murals with these type of landscape scenes look amazing at any location. 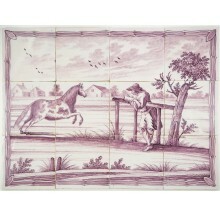 Make sure to check out our huilding and landscape scenes as wall tiles or as collectible as well. 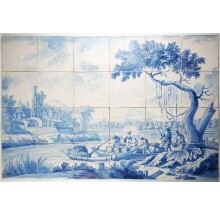 If you have any questions about Delft tile murals depicting landscape scenes, please do not hesitate to contact us. Click here to visit our contact page.